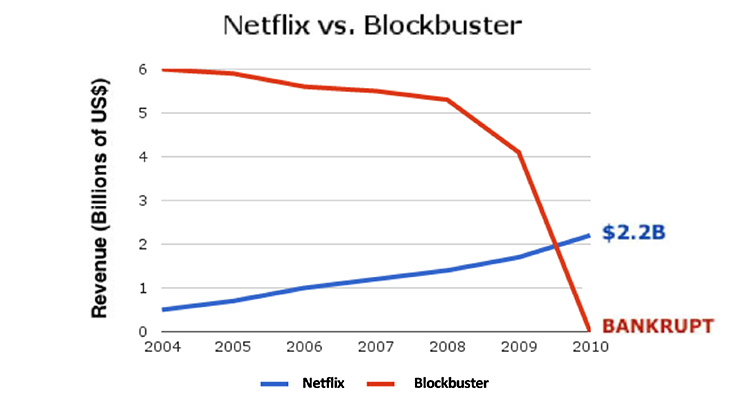 Back in the year 2000, Blockbuster rejected various offers to buy up Netflix for $50 million. Bad decision. The video-rental giant filed for bankruptcy eight years later, while the market value of Netflix has since topped $150 billion — 3,000 times higher than that year-2000 offering price. What explains the demise of Blockbuster and rise of Netflix? One key has been the capacity to perceive and attend to what customers really want. This is one of the five forces that Josep Valor, holder of the Indra Chair of Digital Strategy at IESE, considers fundamental in the new digital economy. In addition to analyzing these five concepts, the professor poses questions for reflection, to help evaluate how each presents risks or opportunities for your company. Many successful companies in the new economy — like Amazon, Airbnb, Facebook and TripAdvisor — are platforms. The simplest platforms facilitate communications and business transactions between two distinct groups of customers and capture value by charging one or both of these populations. A large part of the perceived value for users lies in a platform’s complementary offerings. That’s why its operators have to ensure that a sufficient number of providers are investing their time and money to make the platform truly valuable to its user bases. Which is what Blackberry, for example, overlooked. 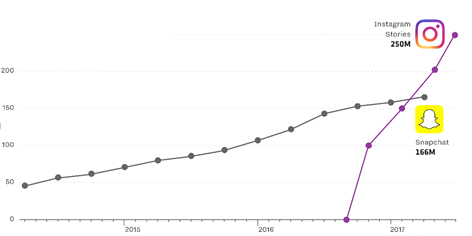 Once the iPhone and Android-based handsets were able to manage email and calendars as well as a Blackberry, the latter’s decline was inevitable. Users grew more interested in iPhone and Android apps. “In some circumstances, network externalities are so strong that large platforms become the winners who take all, capturing most of the value in an industry,” Valor writes. A platform like Airbnb has many more places to stay than a small competitor, which makes it more useful for travelers. As such, it continues to attract more guests and more hosts, with the potential to dominate its industry. Q: Have you considered if a platform-based business model could disrupt your industry? Digital technologies have made possible a large number of niche — or “long-tail” — businesses. This is thanks to a drastic reduction in transaction costs, including cheaper search and information gathering, bargaining, as well as policing and enforcement. Before, it was not profitable to advertise certain niche or low-demand products in newspaper classifieds. Most likely, they would have to be announced several times in order to find a buyer, which was expensive and time-consuming. But internet ads are extremely efficient in terms of money and time. This efficiency moved many advertisers online, greatly reducing the income of print newspapers. Q: Do you believe your firm is prepared to serve long-tail markets? Digital technologies increase the danger of breaking down a value chain, which makes it essential to capture value just as soon as it is created. Consider the 1990s stockbrokers and wealth managers, who would offer free financial advice and charge more than $100 per trade. When online brokerages appeared and offered $10 a trade, clients could game the system by getting free advice and then carrying out their transactions online, paying a tenth of the old price. As a result, professional brokers began charging for their advice, capturing value in the moment it was added, and lowering trading fees — in some cases even eliminating them. Bear in mind that if you lose control of your bundled value-adding activities, you run the risk of going out of business. Q: What can you do to capture value as soon as it’s produced? When a company with a limited product line shares its customers with another that could offer the same products for less (thanks to lower fixed costs), that first company is at risk of falling prey to an aggressive envelopment strategy. Here we have the case of Snapchat, challenged by Instagram, who had many users in common. When Facebook (Instagram’s owner) saw Snapchat as a threat, it launched a copycat version of Snapchat’s core offering as a supplement: Instagram Stories. Thanks to their deep pool of resources, Instagram Stories quickly surpassed Snapchat’s volume of daily users. Something similar may be happening with Spotify, which shares many of its customers with Apple (Music) and Amazon (Prime). Clearly, those bigger players could offer music to Spotify’s paid customers and do it for less. This could undermine Spotify’s model, unless it can offer something Apple and Amazon are unable to replicate. Q: Have you thought of which companies share customers with you — and could undercut you, thanks to lower fixed costs? Could you use the envelopment strategy on another company? A firm must understand what the customers really want and work to alleviate any pain points while also, if possible, increasing the perceived gain. In this sense, digital technologies offer new and expanded opportunities to serve customers creatively, as demonstrated by Netflix, which beat out the incumbent giant Blockbuster. Blockbuster customers had to go to a store, pay a fixed fee to rent a DVD and, if they didn’t return it on time, pay a penalty, to the consternation of many. Netflix came along and charged a fixed monthly fee for two DVDs to be sent by mail. When a DVD was returned to Netflix via a prepaid envelope, the next DVD on the customer’s wish-list was sent within 24 hours. Customers could keep DVDs for as long as they wanted, with no penalties applied. Netflix understood very well that customers ultimately wanted to watch movies at home, so they started experimenting with and investing in a streaming service — even as they continued to invest in classification centers for their mail-based service. Q: Does your company have processes in place to analyze what customers do to get what they want — and to look for innovative ways to reduce their pain points and increase perceived value? Maybe that’s the key to preventing your company from becoming the next Blockbuster.